If you talk about the history of the Cannes awards, one of the most controversial years is still 1999, when a jury headed by David Cronenberg gave the Palme d'Or to the "Rosetta." The movie had screened at the tail end of the festival and had gone unseen by many journalists (including this site's beloved founder, Roger Ebert). But another controversial decision was to award the second-place Grand Jury Prize to Bruno Dumont for "Humanité," which also received awards for Best Actor and Best Actress. Ever since then, Dumont, who trained in philosophy, has been one of world cinema's most reliable miserablists, making films whose characters seem to exist in a raw, almost animalistic state. In recent years, he seems to have developed a sense of humor. "Li'l Quinquin," shown in Directors' Fortnight in 2014, loosely reworked the mystery in "Humanité" with a Clouseau-like chief detective. And just last year, Dumont was in competition with "Slack Bay," which combined class satire and cannibalism. The movie sometimes suggested what might have happened if Thomas Hardy had joined forces with Oliver Hardy. Safely shunted aside to the Fortnight, Dumont is at Cannes again this year with "Jeannette, the Childhood of Joan of Arc," an oddity that may be his most experimental (and least expected) film yet. It's a rock opera—Dumont's equivalent of "Jesus Christ Superstar," focused on the early years of Joan of Arc, who is first played by Lise Leplat Prudhomme and later by Jeanne Voisin. The music is by the electronic composer IGORRR, known for working with both baroque riffs and metal. This is, at times, a Joan of Arc who head-bangs. Using the novels of Charles Péguy as a libretto, Dumont stages a kind of low-budget origin story for the saint. Much of the movie appears to have been shot on a single beach, where the young shepherdess sings aloud to God. She is approached by children seeking food and shares a tune with nuns who uncover their hair. In the film's second half, the rapper Durand Lassois steals the show as Joan's uncle, whose robotic dance moves are the movie's most amusing anachronism. Spirituality has always been at the forefront of Dumont's work; his best film, "Hadewijch," centered on a young woman studying to become a nun, attempts to tease out the line between faith and fanaticism. But "Jeannette" shows that he can explore those themes without his usual overweening seriousness. It's the kind of film that would've been booed in competition—it's too small, weird, and goofy—but one of the pleasures of Cannes is that it's big enough to accommodate even curiosities like this one. Back on Earth (or at least in the official selection), the talented Argentine director Santiago Mitre, who won the top prize at Critics' Week in 2015 for "Paulina," appeared in Un Certain Regard this year with "The Summit," a political thriller that takes an unexpected detour into Hitchcock's "Spellbound" territory. The film is set during a summit of South American leaders, who have convened to discuss an oil alliance. 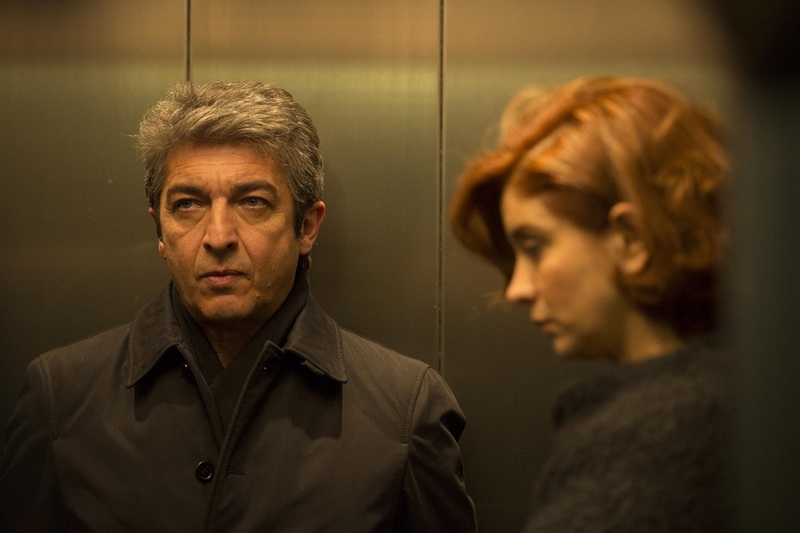 The politically malleable president of Argentina (Ricardo Darín), already facing exposure for corruption, has another problem when his daughter, Marina (Dolores Fonzi, from "Paulina"), suffers a psychiatric episode. A doctor (Alfredo Castro, from Pablo Larraín's films) puts her under hypnosis, and suddenly she has memories of events from his life of which she could have no knowledge. Is someone pulling the strings? Maybe not with respect to Marina's head space, but Christian Slater shows up as a United States state department representative who attempts to influence the negotiations. Like "Paulina," Mitre's film doesn't entirely coalesce, but it shows a certain daring in fusing two genres that don't normally go together.